A regular and heavy cropper that is ready in October to early November. 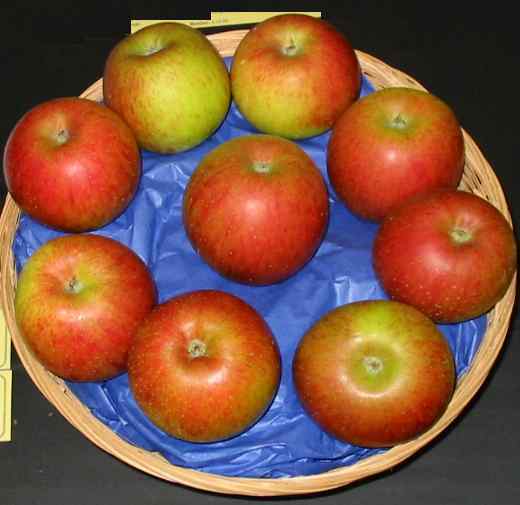 Medium round fruits, greenish yellow with a bright crimson flush and darker red strips. White crisp, juicy flesh with a sweet, very pleasant flavour. A small tree of moderate vigour that is suitable for planting everywhere, including the north. Pollinators include: Egremont Russet, Idared, Limelight, Greensleeves etc.